In August 1864, the Sixteenth President of the United States of America was nearly assassinated about nine months before he was actually assassinated. This is the story. The President and his family have been living out at the Soldiers’ Home, about four miles only this side of the rebel line of skirmishers; but on Sunday night Secretary Stanton sent out a carriage and a guard and brought in the family, who are again domesticated at the White House. The lonely situation of the President’s summer residence would have afforded a tempting chance for a daring squad of rebel cavalry to run some risks for the chance of carrying off the President, whom we could ill afford to spare right now. Of course, Lincoln did have a contingent of guards, a part of Company K of the 150th Pennsylvania Volunteers. Even with the assigned guard, Lincoln frequently slipped away and commuted back and forth to the cottage alone; on many occasions, he even enjoyed a lonely moonlight ride to an evening destination like the Naval Observatory in Foggy Bottom. Now, in the face of this testimony in favor of your theory of danger to me, personally, I can’t bring myself to believe that any one has shot or will deliberately shoot at me with the purpose of killing me; although I must acknowledge that I heard this fellow’s bullet whistle at an uncomfortably short distance from these headquarters of mine. I have about concluded that the shot was the result of accident. It may be that some one on his return from a day’s hunt, regardless of the course of his discharge, fired off his gun as a precautionary measure of safety to his family after reaching his house. The whole thing seems farcical. No good can result at this time from giving it publicity. It does seem to me that I am in more danger from the augmentation of an imaginary peril than from a judicious silence, be the danger ever so great. 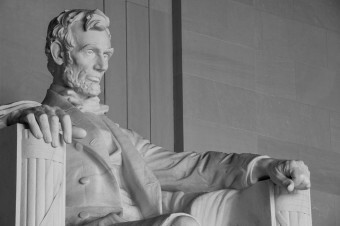 Lincoln continued to serve as President of the United States, apparently without another such incident, until his assassination on April 14, 1865. In early 1861, a plot to assassinate President Lincoln in Baltimore prior to his inauguration was discovered by Allan Pinkerton. The famous detective had been hired by railroad magnate Samuel Morse Felton to thwart a secessionist plot to seize or destroy the railways; during that investigation, Pinkerton discovered the plan to kill the President. Working with Felton, Lamon and others, Pinkerton spirited a disguised Lincoln in the dark of night through secessionist-sympathizing Baltimore and safely on to Washington, D.C. on February 22, 1861. On April 14,1865, a Good Friday, President Lincoln was shot in the head at Ford’s Theatre in Washington, D.C. by actor John Wilkes Booth and died the next morning. Booth, who was shot and killed approximately two weeks later, was known to frequent Baltimore’s Barnum Hotel where Cipriano Ferrandini, one of the leaders of the 1861 Baltimore Plot, had worked as a barber. In addition to Lincoln, three other sitting U.S. Presidents have been assassinated. James A. Garfield, the 20th President of the United States, was shot by Charles J. Guiteau on July 2, 1881, after spending only three months in office. The 25th President, William McKinley (whose widow’s story is a tad heart wrenching), was shot by the anarchist Leon Czolgosz on September 6, 1901 and died eight days later, reportedly more from medical malpractice than the actual bullet that hit his stomach. John Fitzgerald Kennedy, the 35th President, was shot and killed in Dallas, Texas on November 22, 1963. Although it’s generally thought that Lee Harvey Oswald was responsible for JFK’s death, Oswald was shot by Jack Ruby on live television two days later, and no trial was ever held. The United States House Select Committee on Assassinations, which was formed to investigate the assassinations of JFK and Martin Luther King Jr., as well as the shooting of Alabama Governor George Wallace, concluded that the JFK assassination was probably a conspiracy, though what organization formed and executed the conspiracy was not determined. They also concluded that there probably was a second gunman involved in the JFK incident. Besides Lincoln, unsuccessful assassination attempts have been made on Andrew Jackson, Theodore Roosevelt, Herbert Hoover, Franklin Delano Roosevelt, Harry S. Truman, John F. Kennedy, Richard Nixon, Gerald Ford, Jimmy Carter, Ronald Reagan, George H.W. Bush, Bill Clinton, George W. Bush and Barack Obama. After Richard Lawrence attempted to kill President Andrew Jackson, Jackson beat Lawrence with a cane and had to be forcibly pulled away from him, including by none other than Davey Crocket. Mr. Lincoln wasn’t very keen on the laws of probability, was he? That would be quite an accident, to hit his hat with the rifle technology (sights, bullets, etc.) of that day, took a good deal of skill for someone to do intentionally! And on a moving target. Lucky escape, not so lucky 9 months on tho!